Morning transfer from Coyhaique or Balmaceda airport to Puerto Tranquilo through the beautiful landscape of Patagonia. A pause at the Cerro Castillo (“Castle Mountain”) overlook provides a chance to take photos and gaze at this impressive outcrop, named for its fantastic shape – like a fairytale castle. At Puerto Tranquilo, you’ll take a boat trip tour on the turquoise waters of Lago General Carrera to visit the Capilla de Mármol (“Marble Chapel”). This masterpiece of nature was carved out of the living rock by the water itself: a remarkable, cathedral-like series of marble vaults on slender columns, rising out of the crystal-clear depths. Overnight at Hostería Costanera, Puerto Tranquilo. The beautiful 80-km drive to Bahía Exploradores (“Explorers’ Bay”) starts early in the morning, and runs through virgin forests, and past rivers and waterfalls. 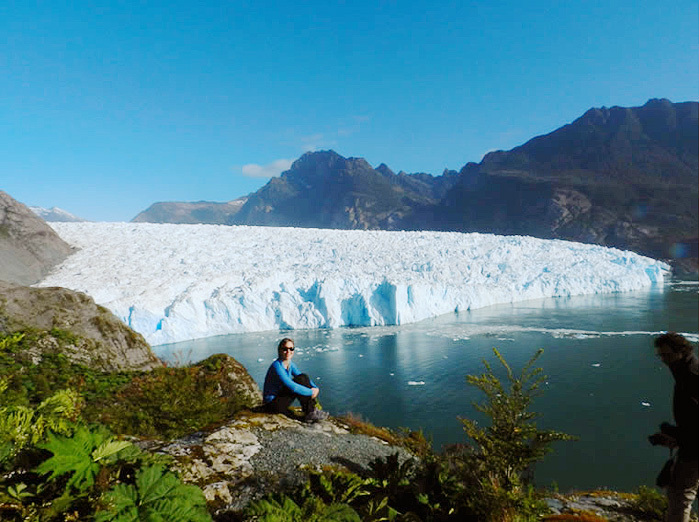 From Bahía Exploradores, a three-hour boat cruise along spectacular fjords surrounded by lush rain forests takes you to Laguna San Rafael, where the eponymous blue-grey glacier rises steeply out of the water. 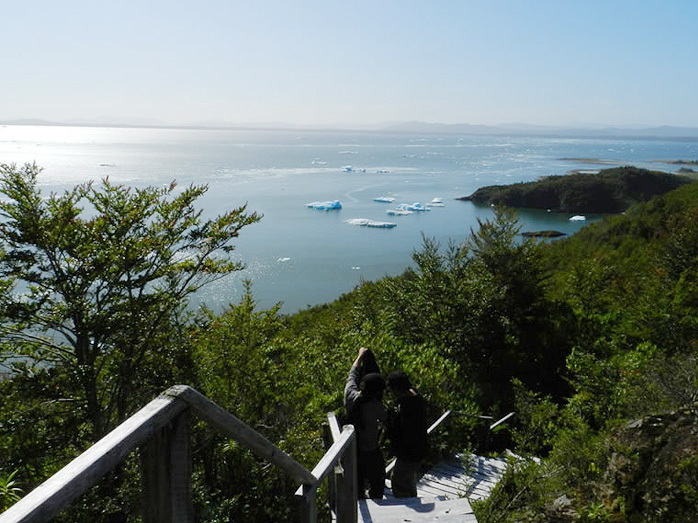 Accompanied by an experienced guide, you’ll wind up the day with a two-hour hike to a viewpoint near the glacier’s edge, a unique experience off the traditional route for visitors to the area. You’ll spend the night in a comfortable, well-furnished, heated “Domo” tent, not far from the glacier. 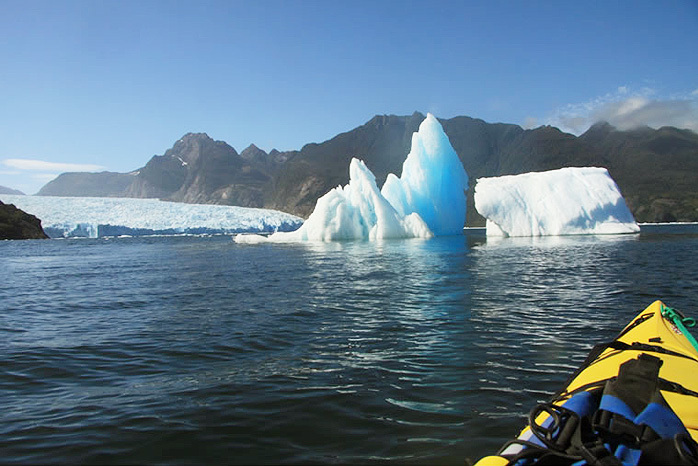 Next morning, before any other visitors arrive, an optional kayak tour takes you to the glacier’s terminus in the lagoon, offering a once-in-a-lifetime chance to paddle amongst the icebergs below the glacier wall. After kayaking you will begin the boat trip back to Bahía Exploradores and Puerto Tranquilo. Overnight at Hostería Costanera, Puerto Tranquilo. Return to Coyhaique or Balmaceda Airport. 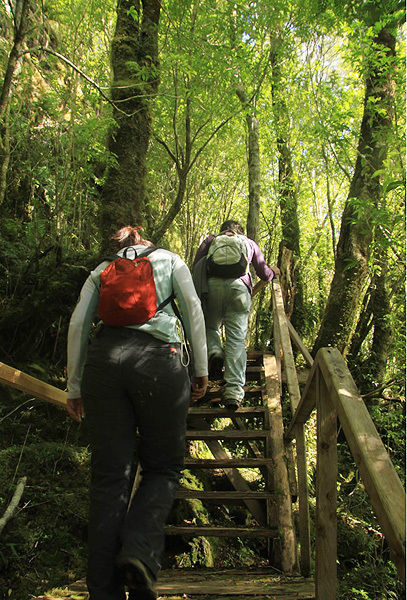 En-route you will visit the “Alero las Manos” archaeological site, with fascinating prehistoric rock drawings. Please bring winter- and rainclothing as well as sunscreen. Passengers coming from Santiago must take the first direct Santiago-Balmaceda flight of the morning, or risk arriving too late to start the program. In fact, we strongly recommend arriving in Coyhaique the evening before (on Wednesday), in order to avoid any mishap. The order of the day-2 hike and the day-3 kayak tour may switch, depending on the weather. Occasionally, extreme weather conditions preclude the Bahía Exploradores–Laguna San Rafael boat trip entirely. 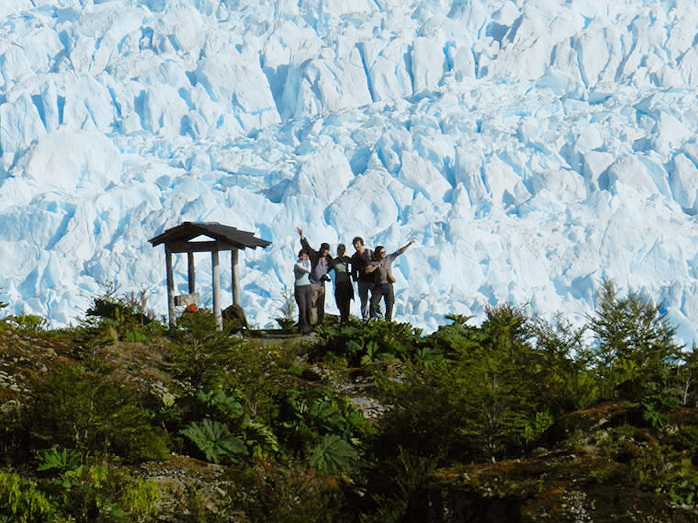 In this situation, guests will visit Exploradores Glacier on the second day and enjoy a rafting trip down the Río Baker on the third. Please do not book a return flight departing before 5pm, since it cannot be reached.